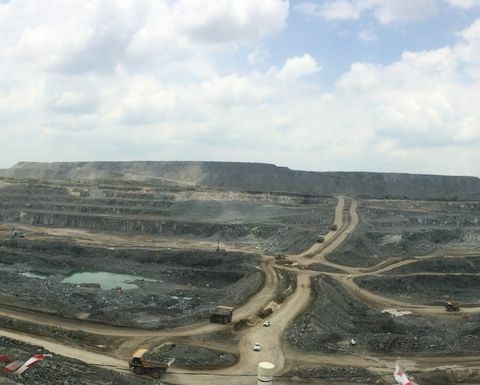 PGM producer Tharisa saw PGM recovery at its Tharisa mine in South Africa increase year-on-year in the March quarter, but production of PGMs fall. Tharisa produced 34,000 ounces of 6E PGMs during the three-month period, falling 11% on the year and bringing the volume for the six months to 67,600oz, down 12% year-on-year. The company's full-year guidance remains at a minimum 150,000oz of PGMs on a 6E basis. PGM recovery climbed from 82.2% in the March 2018 quarter to 85.5% this quarter, with recovery for the half year at 80.7%, down from 83.2% a year ago. The PGM was recovered from 1.13 million tonnes of mined reef, with 1.14Mt milled and the PGM flotation feed at 850,300t at a grade of 1.46g/t. This compared to 1.2Mt of reef mined a year ago, with 1.3Mt milled, 936,000t PGM flotation feed at a grade of 1.54g/t. The average PGM contained metal basket price for the March quarter was US$1,048 per ounce, up from $953/oz in the same 2018 quarter, this brought the six-month price up to $1,017/oz, also up from $909/oz a year ago. Tharisa produced 308,700t of chrome concentrates during the quarter, down 16% from the March 2018 quarter, with total output for the six-month period at 614,100t, also a 16% year-on-year fall. Full-year guidance for chrome concentrates continues to be 1.4Mt, with 25% is expected to be speciality grade chrome concentrates. It said the chrome recovery fell from 66.3% in the March 2018 quarter to 62.9%, with the Cr2O3 run-of-mine grade down from 18.2% to 18%. During the quarter, the company achieved a metallurgical-grade chrome concentrate contract price of $162 per tonne CFR China, down from $206/t a year ago. For the half year, the price was $163/t CFR China, down $30 from the corresponding period. Tharisa said it remained on track with its pit redesign and bench optimisation and would continue to implement its Vision 2020 projects, which aim for output of 200,000oz of PGMs and 2Mt of chrome concentrates in the 2020 calendar year. CEO Phoevos Pouroulis said Tharisa was again on track to meet its Vision 2020 targets, partly assisted by substantial quarter-on-quarter improvements from its mining operations in the March quarter. "We have made considerable progress in redesigning the pit, which necessitated moving almost 1.3 million cubic metres of additional in-pit material over the last six months. "When this is factored into our overall strip ratio, we are now tracking our LOM strip ratio. 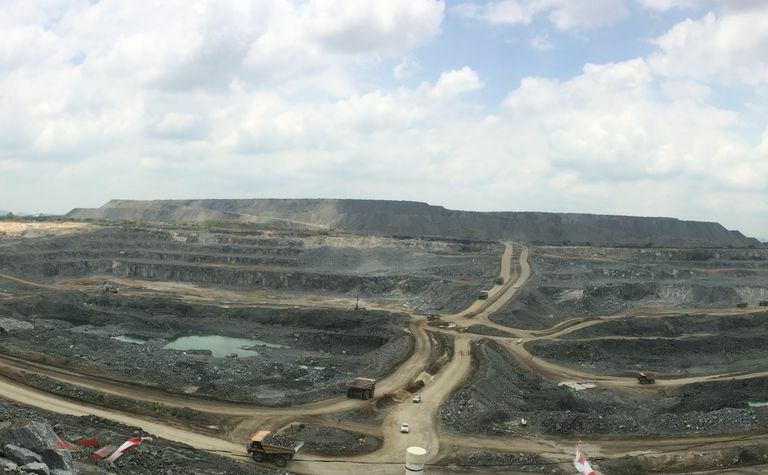 This illustrates that Tharisa has capacity to mine the volumes required to meet our Vision 2020 targets," he said. Pouroulis said the Tharisa mine's recoveries were improving towards the industry best standards due to sustainably providing fresh ore to the plants rather than the inclusion of lower grade tailings. 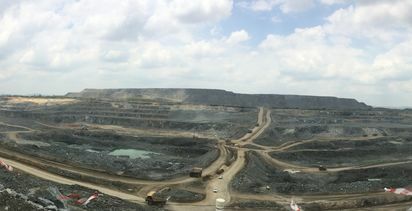 "To support the delivery of our targets, we have fully assessed the mining fleet and brought forward the mining equipment replacement programme, where necessary," he said. South Africa has had a rocky start to the year electricity-wise, with different stages of load-shedding taking place intermittently and often unexpectedly. Pouroulis said Tharisa had also made the appropriate investments to ensure consistent power supply to operations "in view of the uncertain power situation in South Africa over the last few months". On the JSE, Tharisa's shares (JSE:THA) rose 2.26% Thursday to R21.75 (US$1.55), up from R18/share six months ago.